The term Angevin Empire is a modern term describing the collection of states once ruled by the Angevin Plantagenet dynasty. The Plantagenets ruled over an area stretching from the Pyrenees to Ireland during the 12th and early 13th centuries, located north of the kingdoms of Navarre and Aragon. This “empire” extended over roughly half of medieval France, all of England, and some of Ireland. However, despite the extent of Plantagenet rule, they were defeated by the King of France, Philip II Augustus of the House of Capet, which left the empire split in two, having lost the provinces of Normandy and Anjou. This defeat, after which the ruling Plantagenets retained their English territories and the French province of Gascony, set the scene for the Saintonge and the Hundred Years’ War. Legend has it that Black Fulk, Count of Anjou married the 'daughter of the Devil' (Melisende / Melusine), and the wicked temper and high vaunting ambition of his father in law were passed down the generations, first to the subsequent Counts of Anjou and, later, the Plantagenet Kings of England. 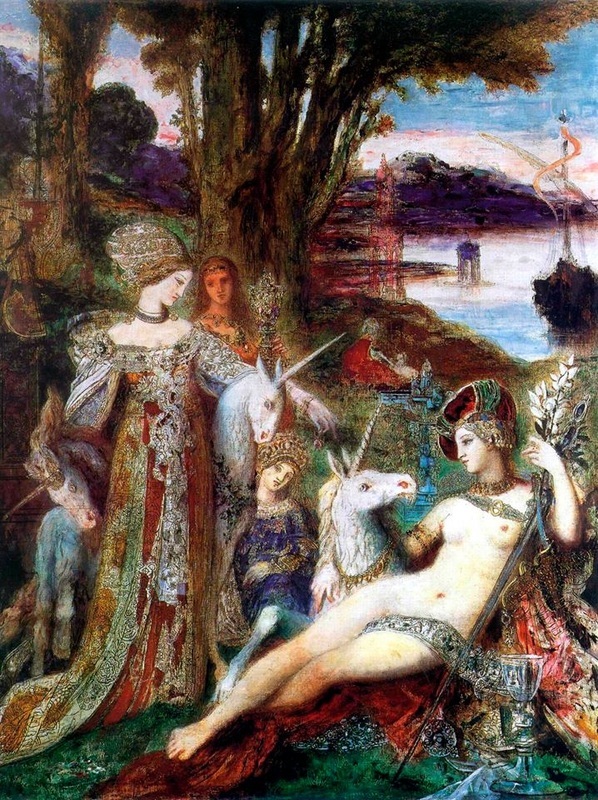 The girl was called Melusine, and the legends differ as to where he found her - some say he met her in the forest whilst out hunting on the Sabbath when he should have been at Mass, others that he went to the Holy Land as though Crusading … but not out of piety, but merely for the love of killing … and there met his wife whilst her father was out stirring up the Saracens. Wherever he had been, he returned to his castle one day with this beautiful, if mysterious and slightly Moorish looking girl and in due course they were married. 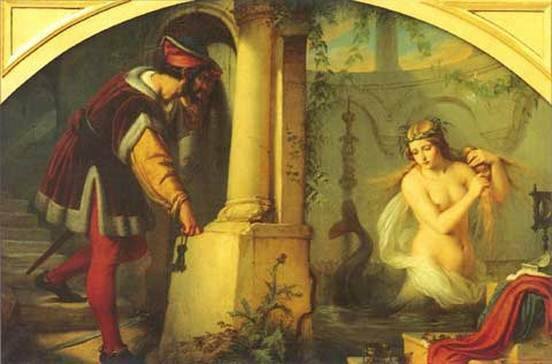 Now Melusine was, in most parts, everything that a Countess should be - beautiful, charming and accomplished, a strong and efficient mistress of her house and a loyal and attentive wife to her husband, and over the years she bore him three fine, strong sons. There was just one problem … the Countess was adverse to attending Mass, and whenever she was persuaded to attend, it was discovered that she had slipped out prior to the moment when the Host was transformed, and whilst Fulk was not much put out by this he was … curious. One day he prevailed about his wife to hear Mass, and once the Liturgy was well under way he had his knights bar the chapel door and prevent Melusine from slipping out. As the climax of the Mass approached Melusine became more and more anxious and seemed frantic to find a way out until, as the consecrated Host was presented she gave a great scream and, taking on a rather greater resemblance to her Father than she had had up until this point, she sprouted wings and flew out of the chapel window with one of her sons in each hand, never to be seen again. History of Anjou The first House of Anjou Anjou was originally known as the pagus andecavis, named after the Gaul tribe of Andecaves. At the end of the IXth century, Charles le Chauve (the Bald), King of Francia occidentalis, allied himself to the Duke of Brittany and expelled the Vikings from Anjou. He appointed Robert le Fort (the Strong), the root of the Capetian House, to protect the area against potential invaders. At the end of the IXth century, the royal power faded away and feudal states emerged all over France. Foulques I le Roux (the Redhead) founded in 898 the first House of Anjou. He bore the hereditary title of Count of Anjou. Foulques II le Bon (the Good) confiscated Maine to the witless King of France Louis IV. Geoffroi I Grisegonelle accepted the homage of the Count of Nantes. The Counts of Anjou made use of the rivalry between the Robertians and the last Carolingians to preserve their independence and increase their power. As a consequence, the County of Anjou was in the XI-XIIth centuries a very powerful state. Count Foulques III Nerra (the Black, 987-1040) was one of the most brilliant lords of that time. He was a fiercy and greedy warrior, not to say a criminal, who always attempted to increase his state: he received Saintonge as a fief from the Duke of Aquitaine, and seized the cities of Blois, Châteaudun, Langeais, Saumur, Vendôme and Tours, being only expelled from the latter city by King of France Robert le Pieux (the Pious). Anjou main competitor was the County of Blois, which depended on the powerful County of Champagne but was almost totally annexated by Anjou. Foulques also had a few periods of repentance, during which he funded several churches and abbeys and went on pilgrimage to Jerusalem. Foulques' son, Geoffrei II Martel (Count in 1040-1060) conquered Maine and Touraine but died without a male heir. His two nephews fought for the succession: the apathetic Foulques IV le Réchin (the Despondent) defeated Geoffrei III but lost Saintonge, Maine and Gâtinais. In 1092, King of France Philippe I seduced, abducted and married Geoffrei's wife, Bertrade deMontfort. Pope Urban II refused to cancel Philippe's first marriage with Queen Berthe and excommunicated him. The King's excommunication was withdrawn by the Council of Beaugency in 1104, four years only before the King's death. Foulques V the Young (Count in 1109-1131) put the County on his feet again by making use of the French-English rivalry. He reincorporated Maine by marriage in 1109. In 1128, he married his son Geoffrei V le Bel (the Handsome) with Mathilde, daughter of King of England Henry I Beauclerc and widow of German Emperor Henry V. In 1129, Foulques married Mélisande, daughter and heir of King of Jerusalem Baudouin II, and founded there a new Anjou dynasty. The Plantagenet Empire Geoffrei V (Count in 1131-1151) was nicknamed Plantagenet because he wore a hat decorated with a branch of broom (genest at that time, genêt in modern French). On his wife's behalf, Geoffrei revendicated the throne of England and annexated the Duchy of Normandy in 1144. In 1152, Henri Plantagenet, son of Geoffrei V and Mathilde, married Eleanor of Aquitaine, who had just divorced from King of France Louis VII. The Count's domain, which already included Anjou, Maine, Touraine and Normandy, incorporated Poitou, Périgord, Limousin, Angoumois, Saintonge and Gascogne. 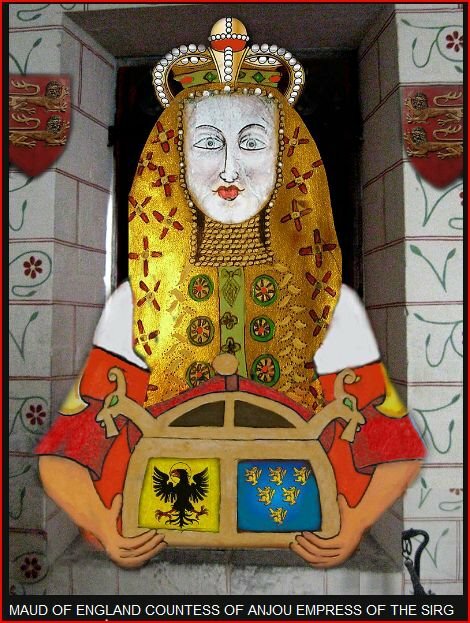 Suzereignty was granted over Auvergne and the County of Toulouse. In 1153, Henri forced Etienne of Blois, King of England, to recognize him as his successor. Henri II was crowned King of England in 1154.Henri II then ruled the so-called "English-Angevin Empire" and was much more powerful than the Capetian King of France. 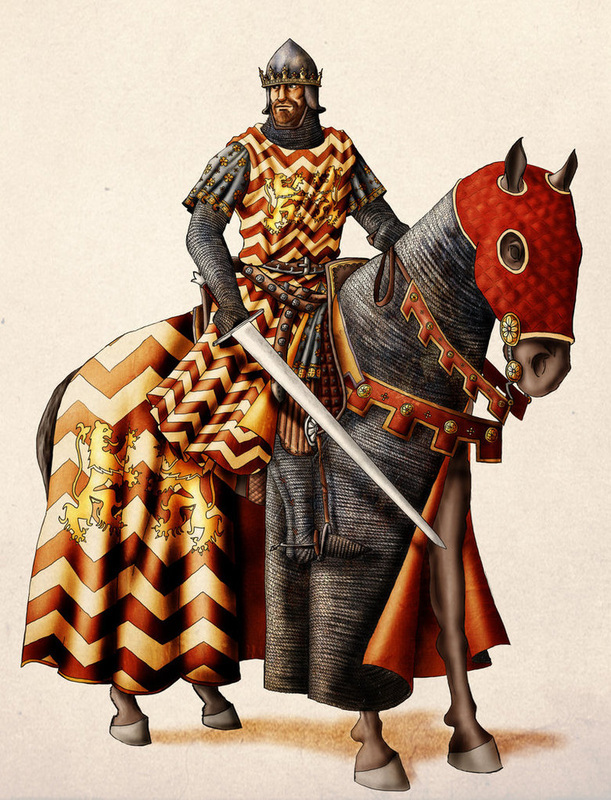 However, the Capetians eventually expelled the Plantagenets by making use of the complex feudal laws, the familial troubles inside the Plantagenet dynasty, and the local aspirations of the provinces included by force in the Plantagenet Empire. Henri II's son and successor Richard Lionheart was killed in Châlus in 1199. He was succeded by his treacherous and scheming brother John Lackland. John abducted Isabelle of Angoulême, betrothed to the Count of Marche, and married her in Chinon on 30 August 1200. The barons of Poitou complained and John was summoned to the Royal Court in Paris. Since John refuse to come to Paris, King of France Philippe-Auguste confiscated all his French possessions. Philippe-Auguste achieved the confiscation by seizing Chinon in 1205. In 1213, John set up an English-German coalition, which was defeated in 1214 in la Roche-aux-Moines, near Angers. The treaty of Chinon (18 September 1214) officialized John's defeat, and John died two years later. The second House of Anjou According to the testament of King of France Louis VIII, Charles, brother of Louis IX (Saint-Louis) was granted Anjou as his apanage. Charles I of Anjou founded the second House of Anjou. He was Count of Anjou, Maine and Provence (1246-1285), King of Sicily (1266-1282), King of Naples (1282-1285) after having been expelled from Sicily following the Sicilian Vespers, King of Albania (1272) and King of Jérusalem (1277). The apanage was later transfered from the Capetians to the Valois. When Philippe VI of Valois, son of Charles de Valois, himself brother of King of France Philippe le Bel (the Handsome), was crowned King of France in 1326, Anjou was incorporated to the royal domain. The third House of Anjou In 1356, King Jean II le Bon (the Good) reestablished the apanage on Anjou, as a Duchy, for his son Louis, who founded the third House of Anjou. Jean was defeated in Poitiers by the Black Prince and sent to London as an hostage. In 1360, he came back to France but two of his sons, including Louis, went to London as hostages. Louis escaped and King Jean had to come back to London, where he died in 1364. The third house of Anjou extincted with René I (1409-1480), known as le bon Roi René (the good King René). René was one of the most educated princes of his times: he could speak French, Latin, Ancient Greek, Hebrew, Catalan and Italian, composed and played music, and wrote poems. René was also interested in mathematics, geology, and jurisprudence. He organized popular festivals, promoted traditional chevalry and was fond of gardening: he is said to have introduced the carnation, the rose of Provins and the Muscat grapes in his states. René was also King of Sicily (nominally), Duke of Lorraine and Count of Provence. 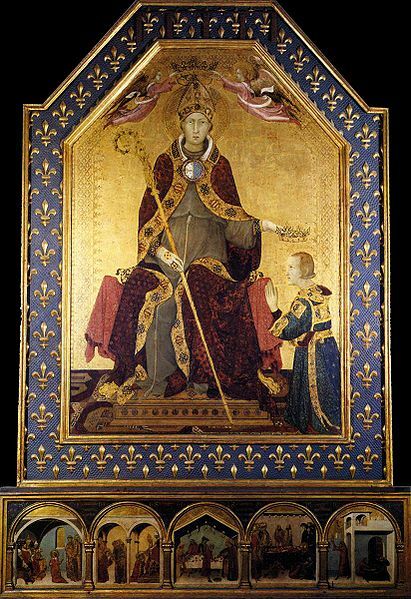 At the end of his life, he understood he would not be able to resist King of France Louis XI, who wanted to reincorporate Anjou to his domain, and retired in Aix-en-Provence, where he died in 1480. The second and third Houses of Anjou (1246-1480) bore from 1270 a semy of fleurs-de-lys (France ancient) with a border gules as the mark of cadency. 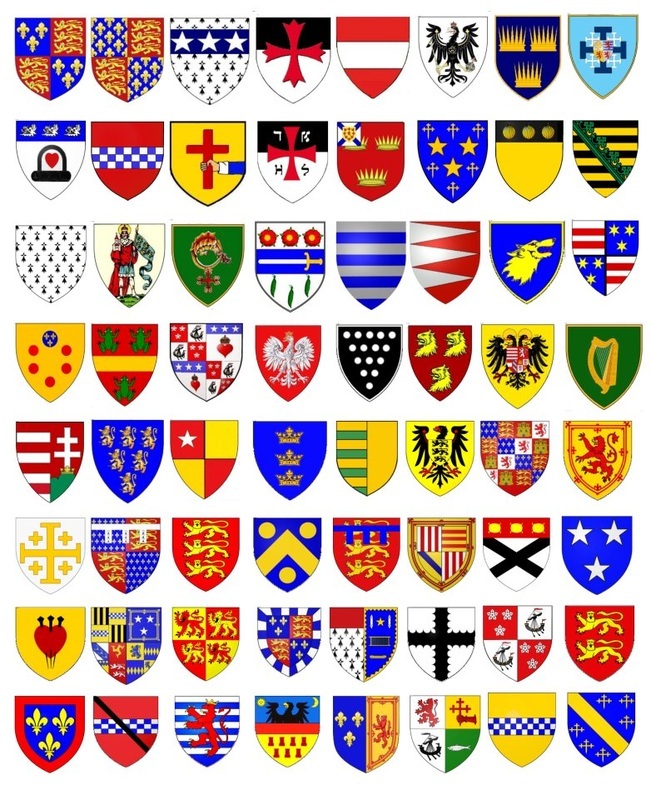 These are the arms called Anjou ancient. When Louis XI reincorporated Anjou to France in 1480, the arms of Anjou kept the mark of cadency but three fleur-de-lys replaced the semy (Anjou modern), since King of France Charles V had in the meantime made a similar change to the arms of France (France modern). The flag of Anjou is common in the department of Maine-et-Loire, which corresponds more or less to the province of Anjou in 1789 (then much smaller than the County of Anjou in the XIIth century). It is flown for instance in front of the city hall of Angers, along with the flags of France, European Union and Angers, and over the castle of Angers during summer season. There is a city of Anjou , now part of Montreal in the province of Quebec (Canada). The municipal flag of Anjou bears a shield based on the arms of Anjou ancient. 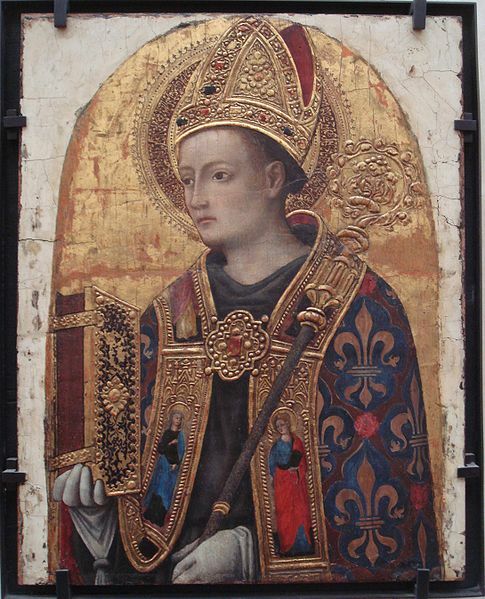 St. Louis of Toulouse by Antonio Vivarini in the Louvre. Born circa 850 at Rennes, Brittany, the son of Tortulf, Ingeler was the founder of the Angevin dynasty. He married Elendis of Ambrose and died in 899. Fulk the Red was born circa 880, he succeeded to the province in 899 and enlarged the Angevin domains by conquering Touraine and drove out the Normans. Fulk I married Rosalie de Loches. He died circa 941. Born circa 910 in Anjou, Fulk II was also known as le Réchin. He married Gerverga de Gatinais of Maine in 929. Died 11 Nov 958, at Tours, Neustria. Born circa 938, Geoffrey allied Anjou with Nantes against Rennes. Geoffrey was one of the men responsible for bringing Hugh Capet to the throne of France. He was married Adele of Meaux, the daughter of Robert of Vermandois and Adelais de Vergy. Geoffrey died at the siege of Marçon (near Château-du-Loir) in 987. Born circa 966, Fulk was the son of Geoffrey Greymantle. He one of the most remarkable figures of his period and the most powerful member of the dynasty. 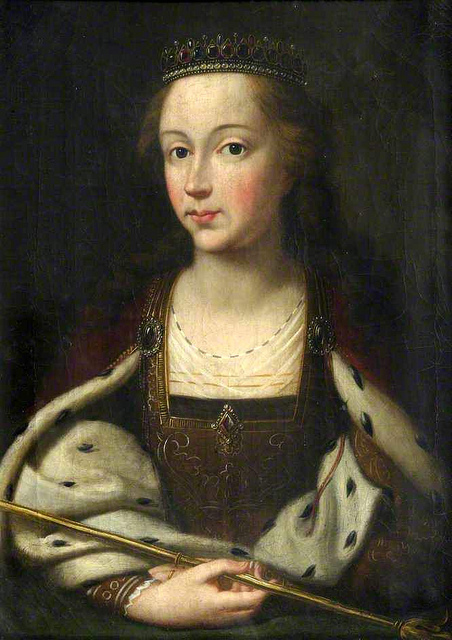 A temperamental, passionate and unbalanced charcater, he notoriously had his first wife, Elisabeth of Vendome, burnt to death in her wedding dress to punish her for adultery. Fulk came into conflict with the Counts of Rennes, he conquered and slew Conan I of Rennes at the Battle of Conquereuil on 27 June 992. He then extended his power over the Counties of Maine and Touraine. He died at Metz, whilst on pilgrimage. The son of Ermenegarde, daughter of Fulk III of Anjou, and Geoffrey, Count of Gâtinais, Geoffrey was born in 1060. He suceeded his uncle, Geoffrey II Martel and was the first of the House of Plantagenet. Disputes with the church resulted in his deposition and imprisonment, but he was freed on the orders of Pope Urban II. Fulk IV, the younger son of Ermengarde of Anjou, fought against and imprisoned his elder brother Geoffrey III for possesion of the Angevin domains. Geoffrey IV was co-ruler of Anjou, along with his father, Fulk IV. He was assassinated in 1106, possibly at the instigation of his father. The son of Fulk IV of Anjou and Bertrade de Montfort, Fulk V reincorporated Maine into Anjou by marriage in 1109. Through his marriage to Melisende, daughter of Baldwin II of Jerusalem, he was appointed King of Jerusalem in 1131. Fulk was killed in a hunting accident at Acre in 1143. The son of Fulk of Jerusalem, Geoffrey Plantagenet Count of AnjouGeoffrey was nicknamed Plantagenet due to his habit of wearing a sprig of broom in his helmet. Contemporaries describe him as handsome and red haired. At the age of fifteen, he embarked upon his stormy marriage to Matilda, the daughter and eventual heiress of Henry I of England, thereby obtaining a claim to England and Normandy. When the throne of England was seized by Matilda's cousin, Stephen, Geoffrey secured Normandy. He died of a fever in 1151 at Château-du-Loir. The second son of Geoffrey the Fair and Matilda and younger brother of Henry II. Geoffrey was born at Rouen, Normandy in 1134. He died at the age of 24 on 26th July, 1158 at Nantes, Brittany. Arthur of Brittany 1199-1202 Son of Geoffrey of Brittany, 4th son of Henry II, born 29 March 1187 at Nantes. Rumour states that he was murdered by his uncle, King John in 1202.